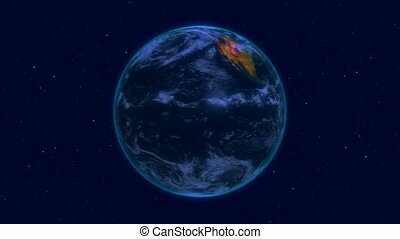 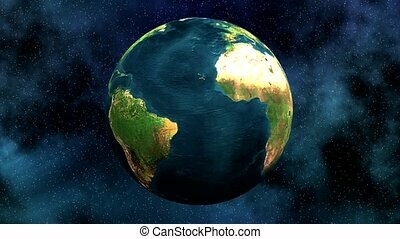 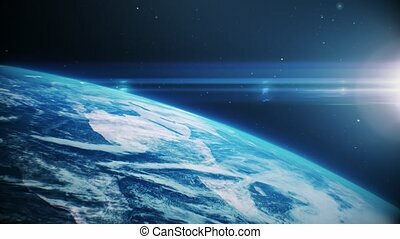 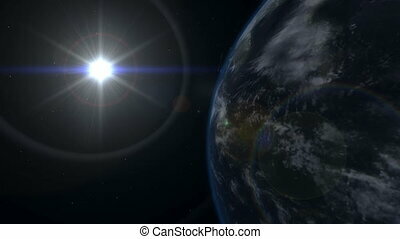 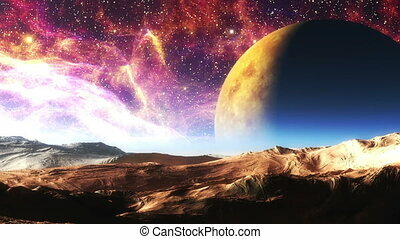 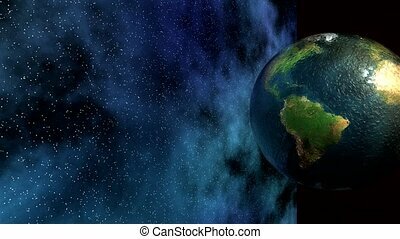 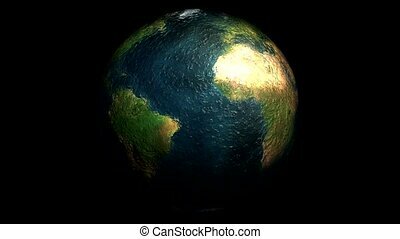 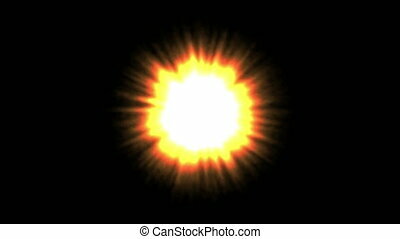 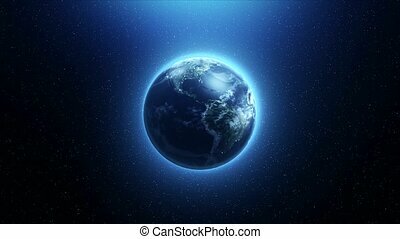 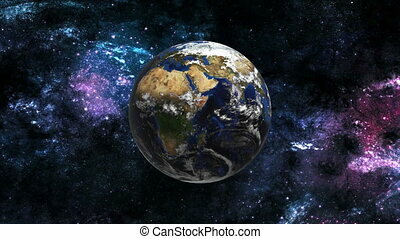 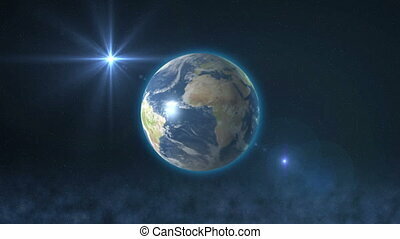 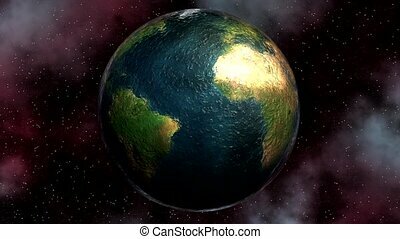 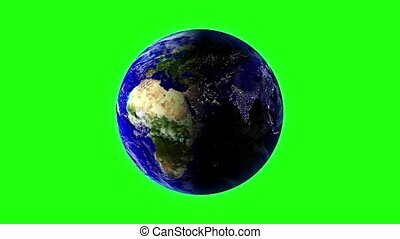 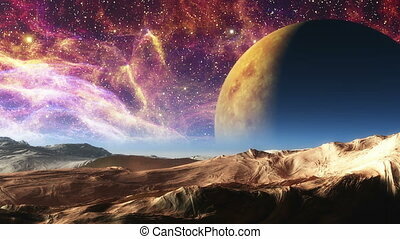 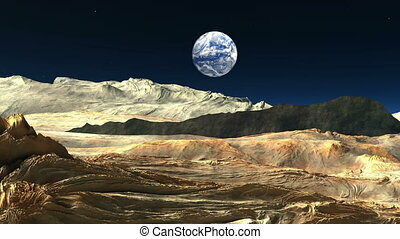 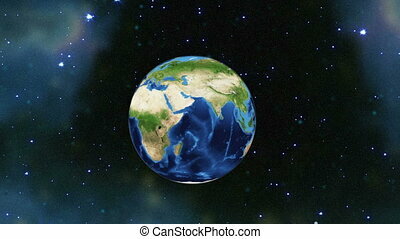 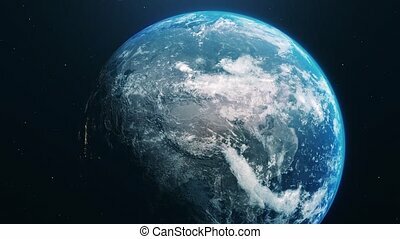 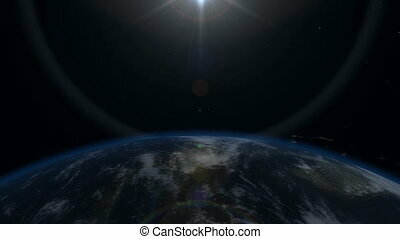 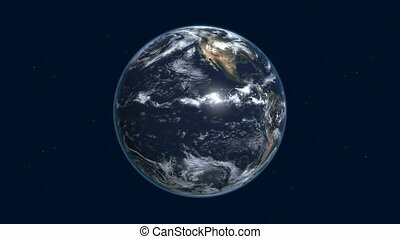 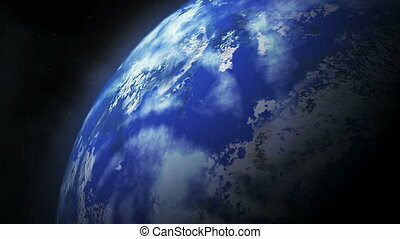 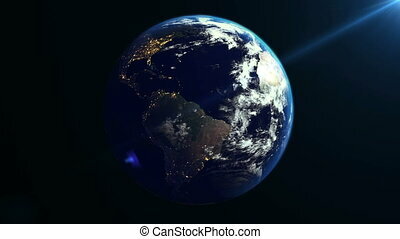 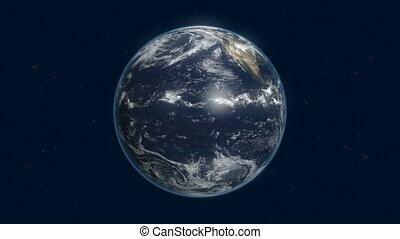 Planet earth in space rotates around the sun. 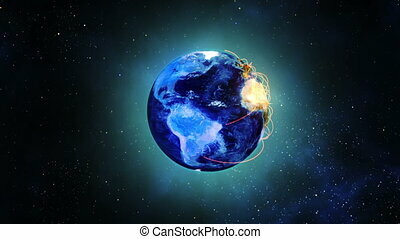 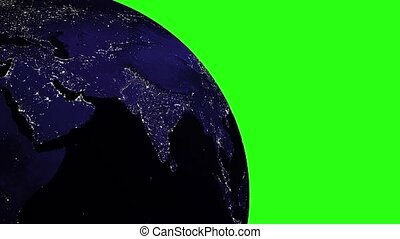 "Earth Rotation in Space. 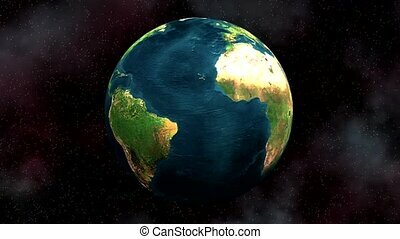 Nasa maps."